I like a good loaf and what’s even better is when I get to create it at home! 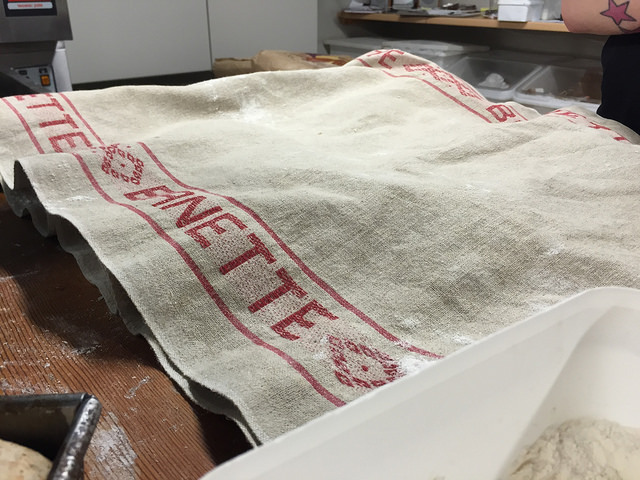 But it’s been a while since I kneaded a batch of dough and thought I could do with a recap. That’s when I saw that Danielle Ellis was offering bread classes to share her skills that she learned from her time in France while she was training a professional baker. If there was ever such a better time than this to get reacquainted with dough, then this was it! Wow! The amount of bread that we made in these 3hrs30mins is staggering! We made: Brown & White loaves, Fougasse, Foccacia, Breadsticks and a Sunflower bun. And you get to take it all home! Mr. C and I are still working our way through it! I didn’t manage to get a slice of the focaccia, but I’m told it was all good by Mr. C who had it for his lunch and have been told I can make it again! Bredan hard at work, Photographing our kneading! Although, I was knackered by the end of and slightly dehydrated (I recommend you take a bottle of water!) I enjoyed learning about new loaves of bread and techniques. We did have a wee break in the middle and Danielle offered us freshly baked apricot or chocolate danish/buns which were lovely! 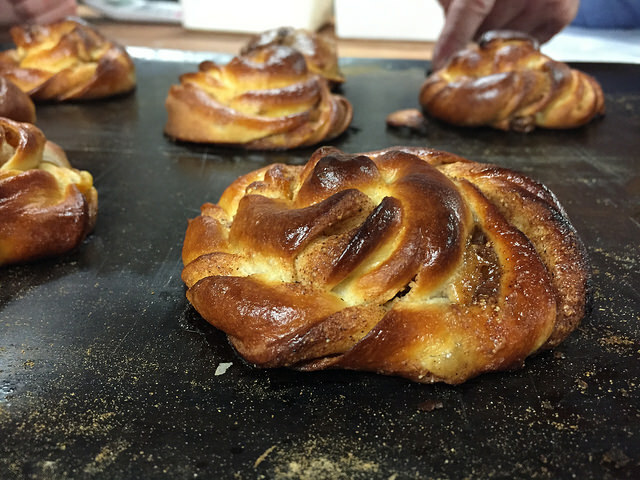 Keep an eye for more Bread workshops on Edinburgh Foody’s website! That apricot danish! Oh so good! DISCLAIMER: Danielle aka Edinburgh Foody did not know that I was going to blog about the workshop before it was conducted! Thank you Emma! It was one of the best Bread workshops yet!